The City of West Hollywood’s Arts Division is accepting nominations from qualified applicants to become the city’s next Poet Laureate. The poet selected for this distinction will hold the position from October 2018 to October 2020. This term will immediately follow the two-year term served by West Hollywood resident Kim Dower, who is author of three published poetry collections and teaches poetry workshops at the West Hollywood Library. The city Poet Laureate serves as the official ambassador of West Hollywood’s literary culture and leads the promotion of poetry in the city, including the city’s annual celebration of National Poetry Month. During the term, the city Poet Laureate will also create a new poem each year that commemorates the diversity and dynamism of West Hollywood. Interested poets are asked to self-nominate no later than noon on July 24. Applications may be submitted online. 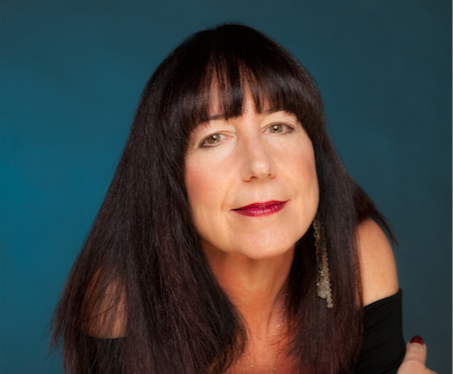 “Writing, reading, and listening to poetry is one of the greatest joys in my life,” says Kim Dower, West Hollywood’s current Poet Laureate (serving since 2016). “It’s transformative. To have had the opportunity to share this joy with so many others for whom poetry may have been an ‘unknown’, and to make it part of their lives, has been an incomparable experience.” Dower says her hope is that the next Poet Laureate is as thrilled as she has been by the challenge and fun of bringing the written and spoken word to West Hollywood’s uniquely creative community. During her term as Poet Laureate, Dower solicited lines from hundreds of West Hollywood community members and weaved those words together into two citywide collaborative poems: “West Hollywood is for Dreamers” and “I Sing The Body West Hollywood.” The latter poem was later turned into a five-minute animated video that incorporates the poem as narrated by Kim Dower, with artwork by local artist Miguel Andrisani and music from Derek Monteiro, Audiomoe and Aaron Colbert. During his term as Poet Laureate, Reigns implemented the annual Poetry Month street banner project, which honors living poets and brings snippets of poetry into the streets of West Hollywood. –Present two additional writing workshops or poetry readings, which may be presented at a West Hollywood school, the West Hollywood Library, a City Council Meeting, or another city-sponsored event, such as the Russian Cultural Festival, the One City One Pride LGBTQ Arts Festival, Women’s History Month, Disabilities Awareness Month, Black History Month or any of the numerous other events that take place in the city each year. These programs would be pre-approved by the city’s Arts Division. All requirements, criteria, and details regarding the City Poet Laureate position and application process are available online. For more information, please contact Mike Che, arts coordinator for the City of West Hollywood, at mche@weho.org or (323) 848-6377. For people who are deaf or hard of hearing, call TTY (323) 848-6496. LOL, hey wehogigio – thanks for mentioning I think your referring to my Christmas poems in front of the council. I’ve applied before but we have many talented people in our city. Maybe its time to give it another shot! On another note Kim Dower has done a fantastic job of weaving the mood and flavor of the city within her work. Stephen Reigns had his way of outreach that included a classroom type setting to engage residents. Each person brings something new and special to the position so whoever is our next city poet good luck and congrats! How about that guy who writes those Christmas poems every year? I can’t believe Stormy Daniels isn’t the unanimous winner. Duran must be so disappointed.